Bulldog for Sale: The Breed That Is Loving, Loyal and Probably Snores! Bulldog for Sale, so many choices! Another popular and irresistible dog breed is the bulldog; this is why a lot of bulldog for sale ads are available online. The bulldog is actually a general term for all dogs that fall under this breed. There are a variety of bulldogs: the most common is the English bulldog, American bulldog and French bulldog. Bulldogs are very popular and that’s why here at Petland Kennesaw, we have bulldog puppies all the time! Check them out right here! The bulldog has distinct features and the most prominent are its thick folds above its nose and under its mouth, it has droopy lips and usually an underbite. Bulldogs are well-loved because they are patient with children, are loyal to their owners and are very content. What makes a bulldog a great pet? This breed is low-maintenance; no need to strip or trim. Bulldogs are ideal for people living in apartments and it does not need a large space to roam around. This breed is easy to maintain and are therefore ideal for people who have little or no experience in taking care of dogs. This breed is very friendly with children and is also very patient too. It can also live with people that it has met for the first time and adapt fast too. Bulldogs tend to get along well with other pets since they are very friendly. The tough yet sweet bulldog may be the pet for you but before you take a bulldog for sale ad online, find out about some of the disadvantages of owning this kind of dog. Bulldogs may not be the best guard dog despite its intimidating looks. A bulldog will be less likely alert or bark to signal its owners if there is an intruder. It may even warm up to an intruder because it is friendly and calm. A bulldog is not the type for active folks since it tends to have a low activity level. Belly rubs and laying in your lap is highly preferred for a bulldog! You need to have tons of patience when training a bulldog, so start early and be persistent. Another thing is that bulldogs cannot tolerate very cold and very hot environments so do not take it out if the weather is too cold or too hot. They are no the breed for hikes, camping or festivals. So if you think a bulldog is the best breed for you, then take the plunge! A patient, loyal and good bulldog is waiting to be part of your family. Want to know more about French and English bulldogs? Check out interesting facts about the Frenchie here! And cool facts about the English bulldog here! Teacup Yorkie for Sale, These Pint-Sized Pups Pack in the Love! Teacup Yorkie for Sale, everything you need to know about this tiny breed! One of the most popular and cute dog breeds is the Teacup Yorkie. The name speaks for what this dog is all about; it is as small as a teacup as a puppy and tends to stay very petite as an adult. Its size and adorableness makes it one of the most sought after dog breeds online. But before you look for Teacup Yorkie for sale, check out a few information about what this dog breed is all about. Here at Petland, we specialize in teacup Yorkies, as there is a lot of myths and untruths about them online. 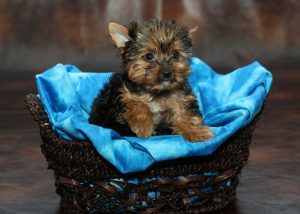 If you’re looking for a teacup Yorkie for sale, check out our available puppies page, right here! What makes a Teacup Yorkie a great pet? This breed is small, so many people can use a soft-sided carrier or specialty dog purse when transporting. The Yorkie is very active despite its size. You don’t have to have a large space to take in a Teacup Yorkie so it can play in your living room or in a small yard. This breed is completely adorable so you will get lots of attention when out and about! Teacup Yorkies are indeed very adorable, but owning it takes huge responsibilities so read on before you decide to take a Teacup Yorkie puppies for sale ad. Teacup Yorkies are very fragile because of their size. You must watch your step and be very careful in handling one since a short fall could be fatal. An adult could weigh as little as five pounds and so careful feeding is a must while they are puppies. However, they tend to pack on the pounds as they get older so limiting food intake will avoid obesity and other heath issues. Small frequent feedings every two hours is recommended for the first year or so. This is not the best dog for children since they might play too hard with a Teacup Yorkie and hurt it. It is not the kind of dog that will work well with other pets too since larger dogs and other pets may hurt it during play. Teacup Yorkies are for owners who don’t have other pets and hence common among seniors, students, singles and in women. May all these information help you decide if a Teacup Yorkie is the best pet for you before you look for Teacup Yorkie puppies for sale. Want to know more about this feisty little breed? Check out our blog on the Yorkshire Terrier right here! Maltipoo Puppies for Sale: Affectionate and Loving, What More Can You Ask For? Maltipoo Puppies for Sale, this sweet breed is perfect for many types of families! A Maltipoo is a dog breed that is a cross of a Maltese and a Poodle. This breed has become very popular which is why you can easily find Maltipoo puppies for sale online. Maltipoo dogs are small but active and very charming. It is the best dog breed if you are single or a dog for an elderly person because this is very loyal through and through. 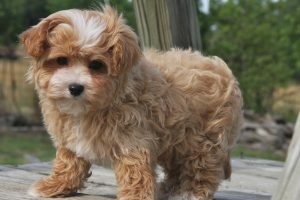 Interested in seeing exactly what kinds of Maltipoo puppies we have in our store? Check out our available puppies page to see pictures of our puppies! What makes a Maltipoo a great pet? This breed does not shed and therefore the ideal pet for people with allergies and for those who do not want to clean up after their dogs. This breed is small and needs very little place to move around; it can live in a small space like an apartment. The Maltipoo is very easy to train and is very eager to please; it is very intelligent but start training early as with most dog breeds. This breed is a sensitive one, so you must consider the amount of time you would be leaving them alone during the day. It could become very irritable and destructive if this they are properly played with and paid attention to. This dog cannot tolerate very cold or very hot weather so it might prefer staying indoors more, and on your lap is preferred! Since this is a dog hybrid, expect health issues to be practically nonexistent as mixes tend to be much heartier than purebreds. But nonetheless, the Maltipoo needs to be kept on a healthy diet and regular exercise to be in tip top shape. This dog may not be the best guard dog because of its size, but it is nonetheless loyal to it’s family. The best way to go about owning a Maltipoo is to purchase from a reputable breeder and not just from any Maltipoo puppies for sale ad that you find online. Petland always uses the most experienced, caring breeders in country that commit to responsible breeding practices! Learn more about how we have extensive vetting processes for all our breeders at Petland Cares! Pomeranian Puppies for Sale, Make This Saucy Puppy the Light of Your Life! 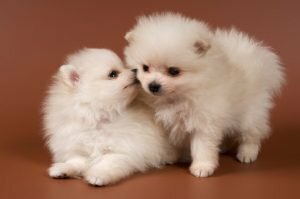 Pomeranian Puppies for Sale, why this feisty breed could be right for you! Who can’t resist a Pomeranian? A lot of Pomeranian puppies for sale announcements online are getting a lot of attention because this breed is an all – around charmer. A Pomeranian is actually a dog breed that has descended from large sled dogs and although the Pom that we know today are just a few inches tall, it has not changed when it comes to its energy and willingness to be part of any family. Here at Petland Kennesaw, we love Pomeranians and it shows! 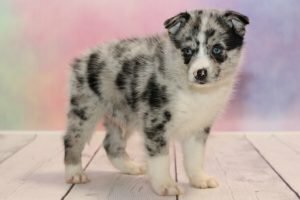 We always have Pom puppies for sale, to look at pictures, just click here! What makes a Pomeranian a great pet? This breed needs regular grooming to maintain its beautiful coat; a trim is needed at least once a month. This breed is eager to please so it is easy to train; it is highly intelligent and you don’t have to repeat orders at all. And despite its grooming needs, it is easy to maintain and hence a good breed for first time owners. Are you ready to take a Pomeranian into your home? Before you search for Pomeranian puppies for sale, take a look at some of the disadvantages of this breed. A Pomeranian is a sensitive dog breed and does not like being alone. It could become lonely and resort to destructive behavior if it is left alone for a long time. It may snap back to naughty kids, so it is not best to leave it alone with babies or young children without proper training! It sheds a lot so expect to vacuum your floor, carpets, car, sofas and beds more often. It is not for people with allergies. Pomeranians have a few health issues and may even become overweight so owners should monitor their feeding times. Some Poms are noisy or may bark or howl often. They often just need attention or exercise to keep the barking down, and of course, proper training by their owners! These dogs may not do well with other dogs too so this is the ideal breed for singles and seniors. So are you still determined to find Pomeranian puppies for sale? A cute, cuddly, loyal and smart Pom may be waiting for you! Maltese Puppies for Sale, These Precious Puppies Are Waiting For You! Maltese Puppies for Sale, one of the most precious small breeds out there! 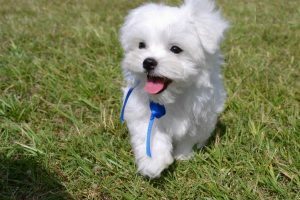 One of the cutest dog breeds is the Maltese. Being cute and popular as a lap dog makes it a very irresistible pet. If you are among new dog owners looking for Maltese puppies for sale ads online then you must first find out if this breed is the best one for you. Because this breed is so popular, Petland Kennesaw always has adorable Maltese puppies! Check them out right here! The Maltese has a small and compact body with a very cute facial expression. Almost all Maltese dogs have white fur that may hang to the ground if not cut but expect well-groomed Maltese dogs with long fur to look like they’re floating off the ground. What makes a Maltese a great pet? This breed is gentle yet some may be overprotective of its owner. The Maltese may also be tough and may even stand up against larger and fiercer dogs. This breed may have long fur but sheds minimally. It is ideal for owners who don’t want fur on their cars, furniture and carpets. Maltese are content to be in a small apartments or spaces since they do not need to run in a large yard. This breed is good news for families with kids since a Maltese is very affectionate and playful with children. Definitely a Maltese puppies for sale ad is so tempting but there are a few things that you must also remember before you take a Maltese pup. This breed needs to have regular grooming so that its fur will remain soft and flowing. A trim is important to keep its fur from its eyes. Regular stripping and trimming may be done at home. It could be hard to train a Maltese and therefore you must be patient with it. Repeat tricks even those that have been mastered already. Older Maltese dogs may take time to train as well. A Maltese barks a lot especially if there are intruders. However, because of its size and adorable looks, an intruder may not be intimidated by it at all. A Maltese needs exercise as well so you still have to dedicate a few minutes of your day for a walk or run or just to get some fresh air. Consider this information before you respond to any Maltese puppies for sale ads online or offline. Want to read more about this lovable little breed? Check out our blog all about the Maltese, right here! 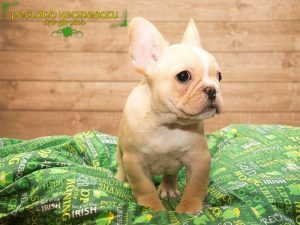 Bulldogs for Sale: What Makes This Snorty Breed the Perfect Pup! 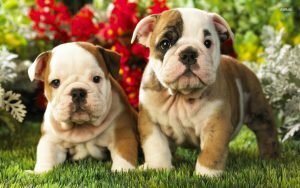 Bulldogs for Sale, what makes this breed perfect for you and your family! There are quite a number of popular dog breeds but one of the most interesting is the affectionate, kind and loyal bulldog. This dog breed is actually a general term but there are several kinds: French Bulldogs, English Bulldogs and American Bulldogs. All these types have the classic small yet round body with a typical gait. The face of a bulldog has that typical scowl with folds under the nose and just below the lips. Most people who love this breed fall for its sweet look and very affectionate nature and this is why many bulldogs for sale ads are found almost everywhere. Petland Kennesaw always has bulldogs for sale, they’re one of our most popular types of breeds! Want to check out the available bulldog puppies in the store, just click here! This breed is very loyal to its owners and his family. It will stay by your side when you are single and will even remain with you even if you have children of your own. Bulldogs are also very tolerant with kids making it the all-around baby sitter. Small children can play tea time, dress up or makeup with a bulldog and it won’t mind at all. Bulldogs don’t need regular grooming and thus won’t rake a large grooming bill. But it is a fact that it still needs brushing so it can keep its coat healthy and soft. This dog needs help though when it comes to cleaning its facial folds and could drool a lot. But other than these, it is easy to manage. Ready to take a bulldogs for sale ad? That’s a reasonable response since many find bulldogs quite irresistible and adorable at the same time. this dog won’t bark at strangers and even intruders so don’t expect it to guard your house. Bulldogs are not into that outdoor fitness thing! They would rather prefer to stay indoors and sleep. This breed is for people who would also have the same lifestyle but still it would be best to encourage it to go out and have some exercise. This breed does not require a large yard to play in so it could live in small apartment or a condo. It cannot tolerate very hot and very cold environments so it would rather keep itself indoors. Labradoodle Puppies for Sale, This Breed Gives the Best Puppy Kisses! So you are thinking of getting a Labradoodle for a pet? Hold on, before looking for Labradoodle puppies for sale, check out the following information. This breed is very popular and is because it has the traits and looks of both a Poodle and a Labrador Retriever. A Labradoodle ranges in size, shape and color. Some have wavy, short, wiry or curly hair and are in a variety of colors too. Petland Kennesaw has the cutest Labradoodles around, check them out right here! What makes a Labradoodle a great pet? This breed does not need regular grooming; only occasional stripping or trimming is needed. This breed is best for people who don’t like to deal with dog hair. There is minimal shedding and therefore perfect for people who don’t want to vacuum time and again. This breed is highly-intelligent and is easy to train. It can listen to commands and follow them well. This breed can live in a small space like an apartment or condominium unit but it still needs regular exercise. This breed can become a watchdog since it will bark at strangers and intruders. This breed is the best for people who run, jog and train. It will help you stick to a training routine since it always wants to go out and run or play. This breed is ideal for children since it is playful, affectionate and energetic. It is also low-maintenance so it is the best type for people who don’t have previous dog training and caring experience. 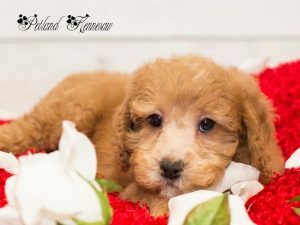 When you are looking for Labradoodle puppies for sale, make sure that you find a reputable breeder. This breed is generally healthy but overbreeding could result to health issues. So never purchase a Labradoodle from shady online sellers! A Labradoodle may bark a lot and this could be one problem for people who live in apartments and condos. Some owners resort to exercise and play to reduce barking especially at nighttime. If you are not the active type then this is not the dog for you. But of course you can always start committing to a more active lifestyle which is healthier as well to be able to care for this dog. 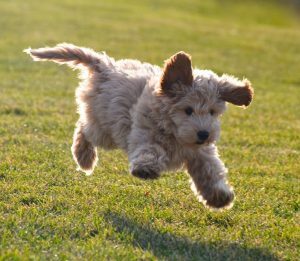 So if you are ready to look at Labradoodle puppies for sale today then give it a go! Goldendoodle Puppies for Sale, for When You Need Some Serious Cuddles in Your Life! If you are looking for Goldendoodle puppies for sale then you must check out this information on one of the most popular dog cross breeds. The Golden Doodle is a cross between a Golden Retriever and a Poodle. The breed was initially developed not for show but to use as a guide dog for people who have allergies to animal dander. Since it is a cross breed, expect that a Golden Doodle has the qualities of a Golden Retriever and a Poodle. Petland Kennesaw always has precious Goldendoodle puppies for sale, check them out right here! What makes a Goldendoodle a great pet? The breed is very playful and energetic; it is the perfect dog for kids and people who have an active lifestyle. This breed is very alert and would do well as a watch dog. Although this breed needs constant grooming, it is easy to care for. It is the ideal dog for first time dog owners. It is a good breed if you want a constant companion especially during walks, jogs and runs. If you want to keep in shape, it will make you stick to your routines. Definitely, Goldendoodle puppies for sale is an irresistible ad because who would pass an opportunity to own a cute Golden Doodle pup? But remember, since this dog is part poodle, it has the poodle’s high maintenance fur. Grooming should be done on a regular basis to keep the Golden Doodle’s coat in tip top shape. Its fur tends to lengthen and could obstruct its vision so occasional trimming is needed. Aside from grooming, Golden Doodles need regular exercise. You need to commit at least an hour of your time each day to get out, walk your pet and get plenty of exercise and fresh air. This type of dog needs a lot of space to run, jump and play. So before taking that Goldendoodle puppies for sale ad, remember that is not an ideal pet if you live in a small apartment or a cramped space. English Bulldog Puppies for Sale, Do Yourself a Favor and Get One of These Loyal Pups! 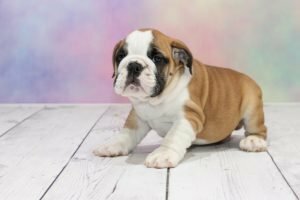 If you are thinking of responding to an English Bulldog puppies for sale ad then it’s best to be informed. The bulldog is one of the most popular dog breeds of all time and of all breeds, the English Bulldog is the most favorite. This breed is a mix of a Boston Terrier and a bulldog and therefore it is called a hybrid dog. An English Bulldog has the characteristic bulldog folds found beneath the nose and lips, an underbite and a box-like body and may be smaller than most bulldog breeds. Petland Kennesaw always has English bulldog puppies for sale, check them out right here! What makes an English Bulldog a great pet? This breed requires very minimal maintenance and grooming but still it has to be done regularly to keep its fur in great shape. This breed is easy to train but still you need to start early; you can expect minimal repetitions when you train an English Bulldog. This could be the dog for you if you do not have an active lifestyle since it is not very active. This breed is very loyal to owners and tolerant to children. Children, even small kids, can play dress up with this dog and it won’t mind. This breed is friendly with other pets and tolerant to baby dogs and cats. A lot of dog lovers prefer an English Bulldog for a pet because of its sweet and friendly attitude. But before you fall into its charming ways and look for English Bulldog puppies for sale ads online, you must understand that there are also disadvantages of owning this breed. The English Bulldog may not be a good watchdog. Don’t plan on leaving your home with this breed as your security since it will not bark or alert anyone that there is an intruder. Despite its looks, it will not resist when an intruder tries to force into your home. If you are looking forward to spend time walking, running or playing outdoors with your English Bulldog then you might reconsider. This dog prefers to stay indoors and to just lie around. This is one of the reasons it is preferred by people living in a small space or in an apartment. It cannot tolerate severe cold or warmth and thus must stay indoors most of the time. So, is this breed still tugging at your heartstrings? Then this could be the one for you so answer that English Bulldog puppies for sale ad now. Searching for Pomsky for sale?